The collections on display during the first day of the 10th Feeric Fashion Week edition were hosted by Jidvei, the main partner of the event. In the first part of the day Irina Duțu Zgâia presented a collection inspired by „Alice In Wonderland” at Tăuni Wine Cellar – the biggest gravitational wine cellar in Europe and the only one of its kind in Romania. The program continued at the Bethlen-Haller Castle in Cetatea de Baltă – a symbol of Jidvei – where Vali Cioban showed-off his 20’s inspired collection that took the audience a step back in time. „For the second year in a row the exclusive Jidvei collection of coupage wines called Mysterium, was once again present at Feeric Fashion Week as main partner. The Mysterium range of wines is a provocation for wine lovers to let themselves be immersed in a labyrinth of aromas and use their senses to discover more and more with each sip. A journey filled with mystery where noble varieties of grapes are carefully chosen by Jidvei to create the ultimate wine tasting experience” said Ana Necșulescu, Marketing Manager Jidvei. „We are now at the 10th edition of Feeric Fashion Week and for us it has become a duty to take forward the legacy of this fashion festival and develop the project at the highest international standards. We cannot but rejoice over the fact that we are supported by partners like Jidvei that share our vision and who understand that supporting local projects only add up to the brand and image of Romania the country in a field where resources are difficult to obtain”, declared Mitichi, President of Feeric Fashion Week. As a UAD Cluj-Napoca, fashion design class alumni, Irina Duțu Zgâia has particular interest for shapes, textures and materiality. She prefers techniques which involve manual work and loves the world of children books and stories. This enchanted world becomes very often her source of inspiration and power to create new collections. This last collection presented at Crama Tăuni is called „As mad as a hatter” and has 18 pieces in total. „In my collection you will recognize a series of characters presented in a noir note: Alice with oversized bows, The Mad Hatter with its typically British eccentricity, the White Rabbit always checking his pocket watch, the sober and uptight Time and the Queen of Hearts. The collection aims to celebrate the beautiful madness which can be found in all of us and is the result of an adult’s work who is thankful that her child spirit has been preserved until today”, adds Irina Duțu Zgâia. After more than 25 years of experience in the field, Vali Cioban continues to shape the Romanian people’s style and not only. 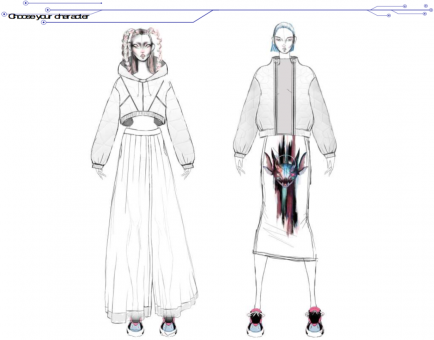 Through his creations, the designer wants to encourage each person to be the hero of their own story and celebrate the uniqueness of each day through a unique piece of clothing. The „Timeless” collection presented at the Bethlen-Haller Castle of Cetatea de Baltă is a trip back in time, a projection of the strong woman today across the years starting from the 20’s until now. „The collection incorporates fashion elements from each period transformed to fit present times and styled to create the portrait of the woman of today. A woman that has all the responsibilities of a man but at the same time does not forget her feminine touch and delicacy. To complete the collection, for present and future attires, the female extravagance is combined with that of the man as an artist”, said Vali Cioban. Founded in 2014, the Tăuni Wine Cellar is a unique construction thanks to the tanks and reservoirs used for storage, to the machinery and installations and also to the type of technology it uses. With a storage capacity of 4.96 million liters, this cellar uses gravitational energy and functions based on communicating vessels concept to ensure an exceptional vinification process. Jidvei (http://www.jidvei.ro/), the biggest Romanian wine producer, owns the most extended grapevine plantation in the country and the biggest vineyard in Europe to have a single owner: 2.500 hectares of vineyard, wine cellars equipped with the most advanced equipment, all located in Jidvei, Tăuni, Blaj and Bălcaciu. In the DOC „TÂRNAVE” area – under the JIDVEI brand, some of the most appreciated Romanian wines and sparkling wines are made. The quality of the products has been confirmed year over year through the medals received at prestigious international competitions in the field. 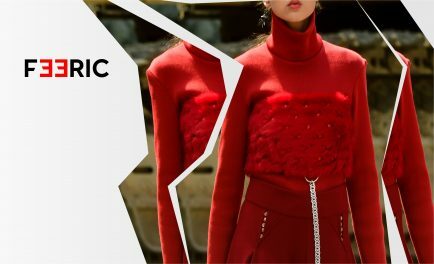 Feeric Fashion Week (www.feeric.ro), the biggest fashion festival in Eastern Europe and one of the most creative in the world, has reached its 10th edition. 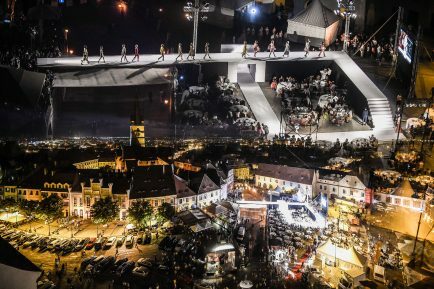 Feeric brings together over 30 designers and guests from over 24 countries in the world to present their collections in the legendary Transylvania.